The use of LNG is increasing in the Baltic Sea region. This means that the authorities have to increase their preparedness in case of accidents. 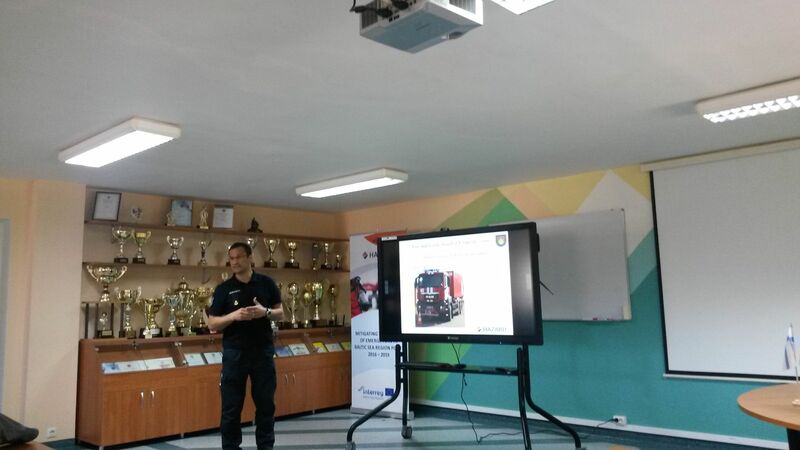 The Fire and Rescue Board of Klaipeda County arranged a LNG safety seminar, in which safety and security issues were discussed. The seminar started with a visit to the Klaipedos Nafta’s LNG terminal, which is situated on a ship “Independence” at the Port of Klaipeda. The independence is a floating storage and regasification unit (FSRU). The Independence is nearly 300 meters long and its width is 46 meters and draught is 12.60 meters. Its total capacity is 170 132m3 of LNG. The security systems on board are very impressive and one of the crew members mentioned that the Independence is the most secured vessel in the world. To get on board of the Independence, you have to pass three control points were the security officers check your identification. There are three fire stations on board and the crew has specified duties during fires. Presentations began with welcoming address by Deputy Chief Kastytis Gedminas. 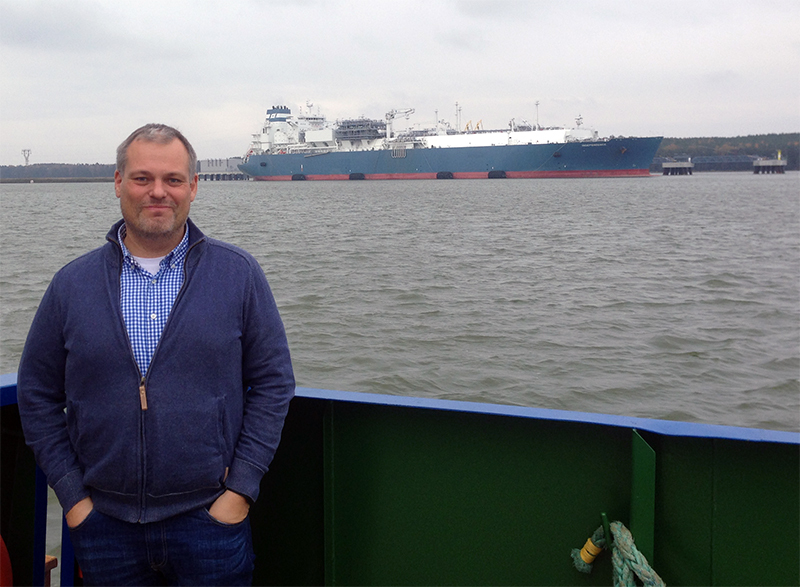 Tomas Endriulaitis told about the preparedness of Klaipeda Rescue Board for the LNG incidents. The biggest risk is the road transport. 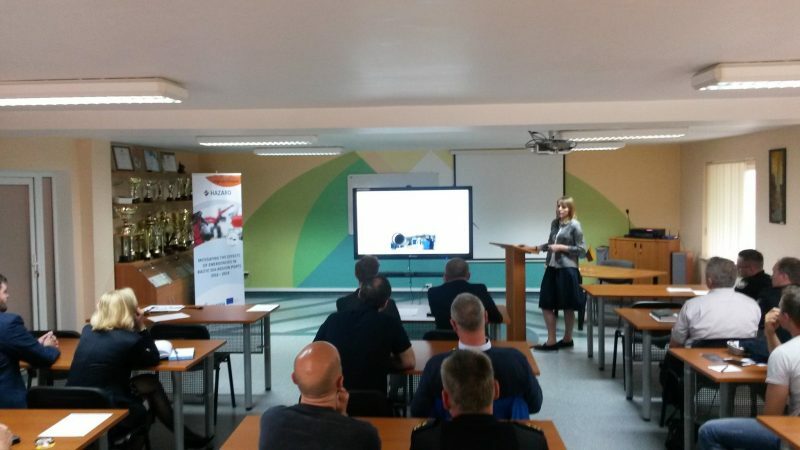 Associate Professor Dr. Tatjana Paulauskiene from the Faculty of Marine Technology and Natural Sciences of the Klaipeda University, gave us a presentation about “Basic Knowledge of Physical Properties and Composition of LNG”. This presentation gave good information about the LNG and how it is manufactured and used all over the world. Biggest risks in handling of the LNG is its coldness which can cause cold burns. If the leak happens in an enclosed space it causes suffocation because it will displace the oxygen. Associate Professor Dr. Rima Mickeviciene, also from the Faculty of Marine Technology and Natural Sciences, gave a presentation about “Building LNG competence for the Baltic Sea Region”. After this presentation we could understand better that the use of LNG is increasing in the Baltic Sea Region and we have to increase our preparedness so that we can better respond to possible accidents. LNGT Health and Safety manager Lauras Mataitis from Klaipedos Nafta LNG terminal gave a presentation about “Risk assessment process at LNG terminals”. Risk assessment process is a complicated process which takes a long period of time. LNG terminal is a big risk in the area and is under SEVESO II regulations. Mataitis also told about “Fire safety and active fire protection means at Klaipeda LNG Terminal”.